Q: Do I really have enough time to prepare for the PMI-PBA exam between now and June 25? A: Absolutely. It will take some concerted effort, but you have time. I recommend somewhere in the 40-50 hours of study after taking a PMI-PBA Boot Camp, either live, virtual, or our AnyTime Learning (ATL). If you haven’t taken a class, I would add 30-40 hours to that. At this point, for example, you could still devote a modest 1-2 hours per day or 10-12 hours per week to prepping and have plenty of time to be ready before the end of June. 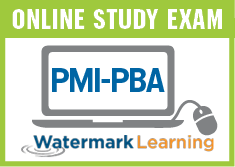 Q: What is the advantage of taking the PMI-PBA exam before it changes? A: The advantage is that we have a pretty good understanding about the exam (not exact questions) in terms of things that are emphasized or topics that show up because we have had many years of informal and formal feedback. We have had a long time to tweak our material to ensure that it is adequately preparing students for the exam. Q: Will the exam be dramatically different after June 25? A: No. The biggest driver of change for any PMI exam is a change to the relevant Exam Content Outline (ECO), which identifies the tasks, knowledge, and skill competencies required of a practitioner, in this case a Professional in Business Analysis (PBA). The PBA ECO has not changed. The June 25 exam update is primarily in response to the November 2017 release of PMI’s new The PMI Guide to Business Analysis; the purpose of the update is to ensure consistency of terms and language between the exam and this new PMI standard. In addition, there is likely to be more emphasis on adaptive (agile) approaches and how that impacts BA work done in the context of projects and programs. Q: Other than prepping for the exam itself, what else do I need to know if I ‘m planning to take it before the update? A: Get your application completed and sent in asap. Sometimes there is a rush of people trying to take a PMI test just before it changes and that can make it hard to get a test timeslot at Prometric. Some people end up having to schedule their exam at Prometric sites that are not closest to them. For that reason, it is critical to get your application in as soon as possible and get the seat reserved. Get your application submitted and approved and get that test scheduled…then get going on the exam prep! Q: How much work is the application to take the PMI-PBA exam? 35 Contact hours (BA-related education) – This may have been from someone like Watermark Learning or it could have been training offered within your organization. And there is no time limit on the contact hours; it could have been a class you took 10 years ago. You will need to be able to provide a transcript or proof, if audited. Business analysis experience (4500 or 6500 hours, depending on project experience) – Your experience will need to cover all the ECO domains, but use the ECO tasks as a guide to understand how to describe your experience. Contact information of someone who can verify your experience – Make sure it is someone you can get in touch with easily, in case you get audited. Note that if your business analysis experience has been as a consultant, you may use someone at your consulting organization as the contact person for your experience if they are able to verify that you did the work. Q: What if I take the exam before June 25 and fail and then retake the exam after June 25? What version will the retake be? A: All exams administered after June 25 will be the updated version. No exceptions. Any retakes after June 25 for a failed exam prior to June 25 will be the new version. Even if you experience a delay due to an audit, any exam after June 25 will be the new version. (Note that PMI typically turns audits around quickly). 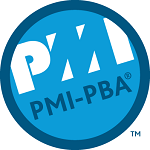 The PMI-PBA is the fastest growing PMI exams and it’s a great credential for anyone doing the work of business analysis, regardless of your title. You’ve got time. Go for it! When will the updated PMI-PBA study guide will be available in the market?